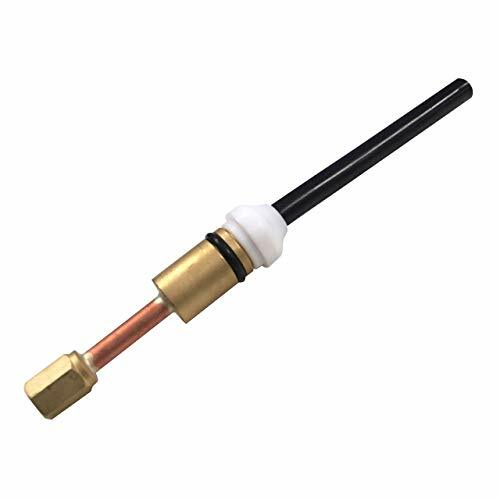 The Micro Torch is the smallest TIG torch manufactured by CK Worldwide. With 3 different angled heads, this torch is very versatile and can be used in many tightly-spaced applications. With a 140 amp rating (70 for gas cooled) and the size of a ball point pen, the new MR140 Micro Torch will handle your hard to access welding applications. Clear Pyrex nozzles and a low profile torch body makes the MR140 perfect for the operator to see the weld puddle ensuring a high quality weld. An innovative water cooling jacket keeps the MR140 operating at maximum performance even with a 3/32 (2.4 mm) tungsten electrode. 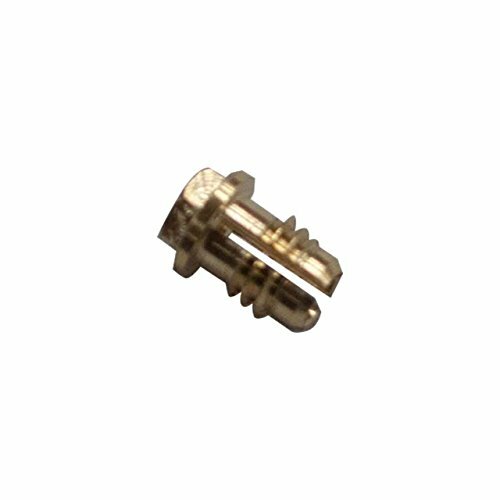 (.040, 1/16 and 3/32 collets included) 45, 90 and 180 heads are easily interchangeable onto the body and are included in the torch package. The different angled heads all use the same clear Pyrex nozzle eliminating the need for angled nozzles. 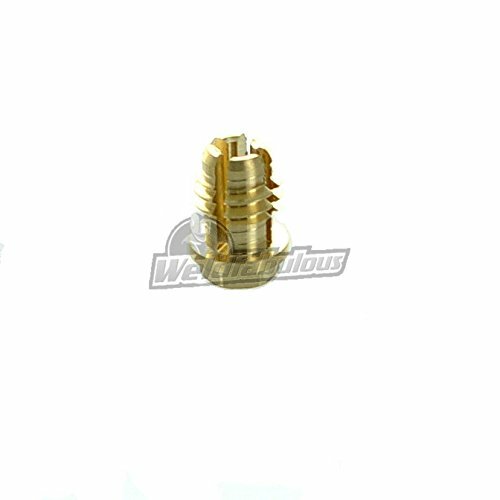 The tungsten electrode is easily adjusted with the Tungsten Stick-Out Gauge and Wrench, also included in the torch package. Simply set the gauge to the desired length and tighten the collet with the wrench securing the tungsten electrode. 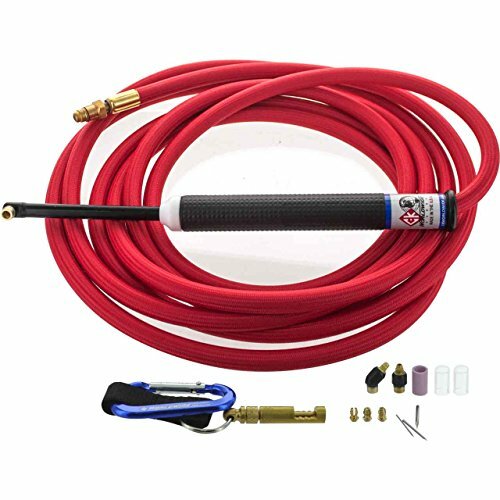 Super Flex hoses complete the package minimizing the weight and pull of the cable assembly when performing intricate TIG welding applications. Air Cooled Micro-Torch, 70 amps @ 100% duty cycle, low profile micro-torch, 45, 90, & 180 degree interchangeable heads, Clear Pyrex nozzle fits on all three heads. Super-Flex cable assembly makes it easy to manipulate torch. Tungsten gauge and wrench makes installing tungsten easy. CK Exclusive. 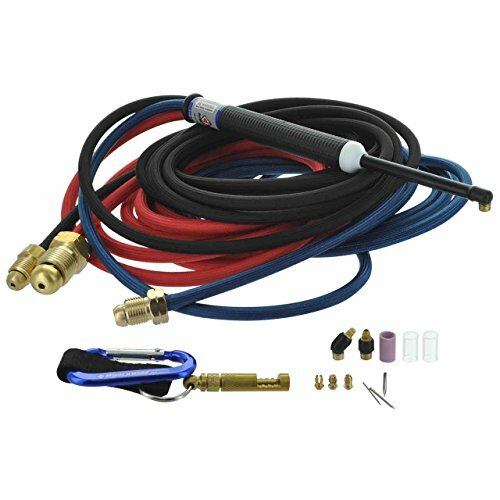 The CK Micro Torch is a smaller more lightweight version of the Master Tig series torches and can be easily used in hard to reach places. CK MR332C COLLET Body 3/32 - MR140. CK TIG welding collet body for Micro Series TIG Torch. 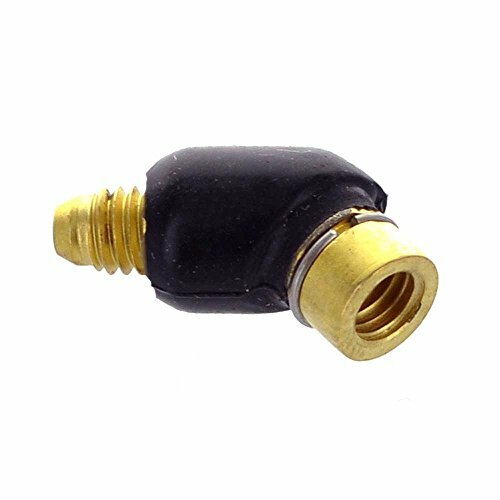 The Micro Torch replaceable torch head is used with the micro torch and is significantly smaller than the standard torch heads so you can get into the small tough to reach places.